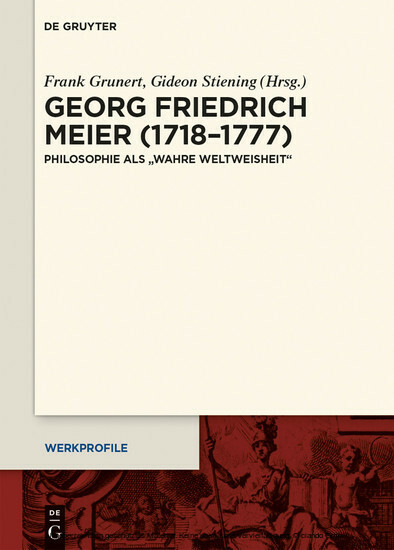 Georg Friedrich Meier (1718–1777) was among the most influential philosophers and journalists of the European Enlightenment. He was active in all the sub-areas of academic philosophy and also in the context of literary and popular philosophical discourse. He was held in high esteem by Mendelssohn, Lessing, Herder, and Kant, but until now, there has been no overall presentation of Meier’s oeuvre. This book fills that gap.